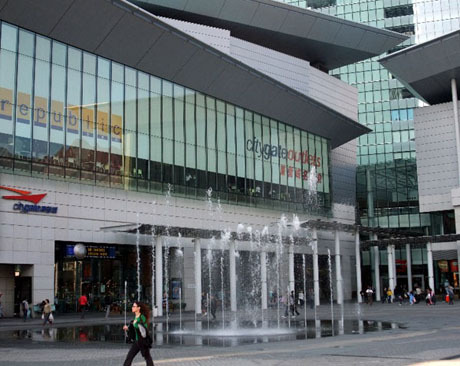 Citygate Outlets is managed by Swire Properties, being one member of a consortium of four property developers responsible for the development of Citygate. Located close to Hong Kong International Airport in the fast developing new town area of Tung Chung off the North Lantau Highway. 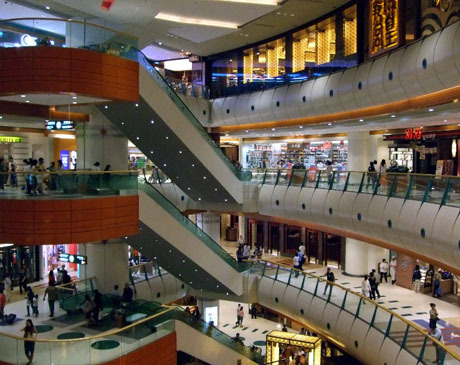 The mall is adjacent to Tung Chung MTR Station and is within two minutes walk of the Ngong Ping 360 Cable Car Terminus. Citygate was not originally an “outlet mall” but in 2006, in a change of marketing strategy, the mall renamed itself “Citygate Outlets” and is now home to around 80 shops offering discounted products often being out of season or discontinued ranges. 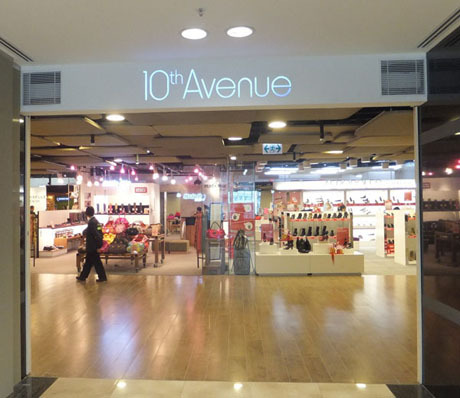 In December 2011 nine additional outlet shops opened at "10th Avenue" on the 10th floor of the One Citygate Office Tower accessed by lift from the ground or second floor of Citygate Outlets mall. In 2014 work began on an extension to the mall which will include a hotel, cinema and additional retail units, with the project expected to be completed in late 2017 or early 2018. This work has resulted in the closure of the existing UA Cinema complex in the mall in September 2016. There is also a supermarket, about 15 café’s/restaurants, a food court with a number of Asian fast-food outlets, spa and cinema. At level 2 the mall is connected to Novotel Citygate Hong Kong Hotel. Outside the main entrance is a piazza with musical fountain and this is often the venue for outdoor entertainment and exhibitions. The new strategy and the opening of the cable car terminus have resulted in a huge increase in the popularity of this mall . There are three floors of shops mostly familiar international brands, a large basement supermarket and a sub-basement with money exchange and luggage lockers. The range of goods offered includes designer fashion, accessories, children’s wear, sports wear, home living, leather goods, shoes and electrical, computer and audio/visual products. Discounts of 30%-70% on normal shop prices are advertised although this does not apply to all products, particularly electrical, computer and audio/visual goods. Shops include Anteprima, Armani, Bally, Burberry, Coach, Crocs, Esprit, IT, Laura Ashley, Levi’s, Moiselle, Nautica, Polo Ralph Lauren, Vivienne Tam, Adidas, Columbia, K-Swiss, New Balance, Nike, Puma, Quiksilver, Sunglass Hut, Timberland, The Body Shop, Kate Spade, Rockport, Samsonite, Chickeeduck, La Compagnie Des Petits, Mides, SaSa, Dr Kong Foot Care and Fortress. Café’s/Restaurants include Starbucks, Spaghetti House, McDonalds Restaurant and McCafe, Golden Shanghai Cuisine, Federal Palace, Watami Japanese Casual Restaurant, Deli Viet Vietnamese Restaurant, The Spaghetti House, Pacific Coffee and Food Republic food court on level 2 has several Asian and Western outlets. There are also three restaurants Adante, Essence and Olea in the Novotel Citygate Hotel. Basement level is taken up almost entirely by the large TASTE Supermarket. 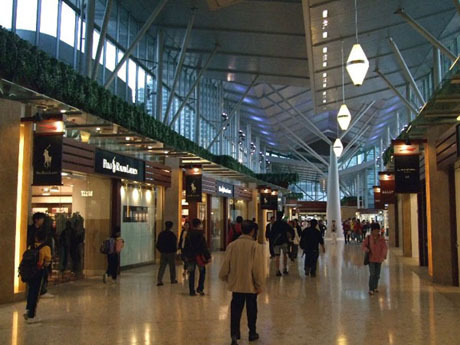 Also see OUTLET & FACTORY SHOPS for more information on shops at Citygate Outlets and outlet shopping in Hong Kong. OPENING HOURS – Most shops open from 11am until 10pm or 10-30pm daily. See website for details of opening hours of individual shops and food outlets. Food Republic food court open 9-30am to 10pm daily. Spa open 11-30am to 9pm daily. GETTING THERE – MTR Tung Chung Station exit B or C. BUS – routes E11, E21, E21A, E22, E22A, E23, E31, E32, E33, E34, E41, E42 from Hong Kong Island, Kowloon and New Territories. S1, S52,S64 from Hong Kong International Airport. There is also a frequent cross-border coach service from Citygate to via Hunggang to Kingkey Banner Centre in Shenzhen, operated by Eternal East. 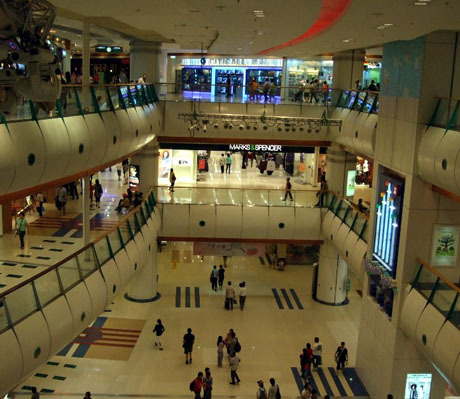 NEARBY – Tung Chung Crescent opposite the main entrance to Citygate Outlets has several shops including CP Plus bookshop, Parsons Music Store, Mannings personal care store, Japan Home Centre, Sea Horse Shop, 7-11 convenience store and Pizza Hut. Developed and built by MTR Corporation Maritime Square opened in 2003 and is located directly above Tsing Yi MTR Station (Airport Express and Tung Chung Lines) on Tsing Yi Island at the eastern end of the Tsing Ma Bridge and Lantau Link. The mall has a maritime theme to it with ship-shaped balconies and “porthole” windows and one side of the mall runs alongside the scenic Tsing Yi Waterfront Promenade. There are four floors of retail outlets including over 110 shops, department store, over 25 food outlets, supermarket and cinema. Shops are mainly mid-range and sell a good variety of products including fashion, children’s wear, shoes, leather goods and accessories, optical goods, sports wear, health and beauty products, gifts, books and music, watches and jewellery and electrical, computer and audio/visual products. Outlets include Marks & Spencer Department Store, Columbia, Esprit, Giordano, Ice Fire, Marathon Sports, Dr Kong Footcare, Mirabell, Walker Shop, Chickeeduck, Crabtree & Evelyn, Fancl House, Ingrid Millet Paris, Swarovski, Tom Lee Music, Chow Tai Fook, City Chain, Ma Belle, and Fortress World. There is a large TASTE Supermarket on level 3. Food outlets include Itamae Sushi, UCC Coffee Shop, Café de Coral, Chao Inn, Federal Palace, Jade, KFC, McDonald’s, Pizza Hut, Saint’s Alp Teahouse and The Spaghetti House. The five-screen multiplex Golden Harvest GH Tsing Yi Cinema is at ground level and there is a Jumpin’ Gym USA on level 2. Construction of a HK$2.4 billion four-storey, 130,244 square feet extension to the mall commenced in June 2015 and is expected to be completed by the end of 2017. The extension will include shops, restaurants, entertainment outlets and a 5,000 square metre scenic roof garden. OPENING HOURS – Most shops open 11am to 10pm daily. Check website for opening hours of individual shops, café’s and restaurants. Supermarket open 7am to 11pm daily. Cinema open approx 11-30am to 10-15pm daily. GETTING THERE – MTR Tsing Yi Station (served by Tung Chung Line and Airport Express Line). The station is directly connected to the mall by escalators. BUS – routes 63M, 248M, 249M, 251M and 246M to Tsing Yi MTR Station or routes 40, 41A, 42C, 42M, 44 and 49X to Cheung On Estate connected to Maritime Square by pedestrian walkways. Owned by Sun Hung Kai Properties New Town Plaza is one of Hong Kong’s largest shopping malls with about 350 shops, almost 50 food outlets, food and furniture supermarkets, cinema, Snoopy’s World themed playground, giant video screen, roof garden and musical fountain. Located next to Shatin MTR Station and Shatin Town Hall New Town Plaza was developed in phases and comprises the nine-storey Phase 1 opened in 1985, the newer three-storey Phase 3 (linked to Royal Park Hotel) and HomeSquare, a home products and lifestyle mall which occupies four floors of nearby Grand Central Plaza. 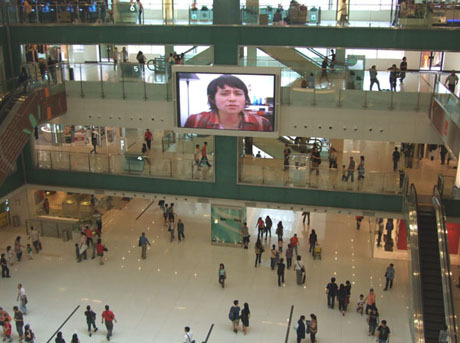 Phase 1 received a major facelift during 2007/2008 and has been transformed into one of Hong Kong’s smartest malls. There is an extensive variety of mid to high-end shops and boutiques selling virtually every international brand and range of products includes ladies and mens fashion, accessories, shoes, bags and leather goods, beauty & healthcare products, jewellery and watches, electrical, audio/visual, telecommunications and computer products, home furnishing and lifestyle goods, books, gifts, music art and pet care products. Major stores are Yata (previously Seiyu) Japanese Department Store which occupies two floors of phase 3, Marks & Spencer on level 4 of phase 1, Commercial Press (bookstore) on level 2 of phase 1, Toys’R Us on level 1 of phase 3, Broadway Electrical on level 6 of phase 1, Royal Sporting House on level 5 of phase 1 and Hong Kong’s flagship IKEA store on level 3 of HomeSquare. Other shops include AIX Armani Exchange, Calvin Klein, Esprit, French Connection, IT, Levi’s, Tommy Hilfiger, Kookai, Mademoiselle, Nautica, United Colors of Benetton, Vivienne Westwood Anglomania, Zara, Bauhaus, D-mop, Extravaganza, Giordano, G2000, Next, Adidas, Billabong, Columbia, Marathon Sports, Nike, Quiksilver, The North Face, Timberland, Chickeeduck, La Compangine Des Petits, A Testoni, Dr Kong, FX Creations, Samsonite, Staccato, Asquith & Somerset England, Chanel Beaute, Clinique, Estee Lauder, Parfums Christian Dior, The Body Shop, Sa Sa, Chow Sang Sang, Chow Tai Fook, City Chain, Follie Follie, Swarovski, Bose, Fortress World, Gome, Oregon Scientific, Dymocks Booksellers and Parsons Music. A large City’super Supermarket is on level 2 of phase 1. HomeSquare was launched in July 2008 in Grand Central Plaza when a number of home décor shops were introduced to supplement the large IKEA store and there are currently about 20 shops selling home furnishings, beds bedding, curtains etc. Level 7 of phase 1 is known as “The Menu” and has about 10 mainly Asian Restaurants including Bay Phoon Town, Shanghai Xiao Nan Guo Cuisine and Teppan 200 Japanese Grill. Level 8 of phase 1 is wholly occupied by a large Maxim’s Palace. Café/Restaurants on other levels of phase 1 include Buono Nobo, Pokka Café Grill Specialist, Ruby Tuesday, Hakata Ramen, Hip Sushi, Watami, Lei Garden, Café de Coral, McDonalds and KFC. Phase 3 café/restaurants include Pizza Hut, The Spaghetti House, Genki Sushi, Red Ant Restaurant, Saint’s Alp Teahouse and Odeon Taiwanese Café. HomeSquare has Fung Shing Restaurant in addition to IKEA’s Bistro. The two-screen UA Shatin Cinema is on Lower and Upper Basement levels of phase 1. 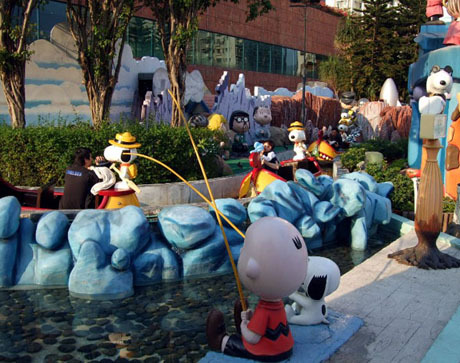 Snoopy’s World is an outdoor themed playground on level 3 podium and features Peanuts characters and amusement zones including Snoopy House, Peanuts Academy, Canoe Ride, Peanuts Dugout, Peanuts Pavilion and Party Pavilion. Admission is free. On level 7 is a podium garden with musical fountain. The fountain operates at 1pm, 2pm, 2-45pm, 4-45pm, 7pm, 8pm and 9pm Monday to Friday and additionally at 3-45pm on Saturdays, Sundays and public holidays. OPENING HOURS – Most shops open 10am to 10pm daily. Check website for details of individual shop/food outlet opening hours where available. Yata Department Store 10am to 10pm daily. IKEA 10-30am to 10-30pm daily. Snoopy’s World 10am to 8pm daily (last entry 7-45pm). Cinema Box Office – usually 11am to 10pm daily. GETTING THERE – MTR Shatin Station (East Rail Line). New Town Plaza is connected to the station via Citylink Plaza (two minutes walk). BUS – Routes 83K, 83S, 282, 283, 284 and 299X serve Shatin Central Bus Station opposite New Town Plaza Phase 3. There are escalators leading into the mall from the bus station. Routes 85K, 86K, 89X, 170 and 263 serve Shatin Station Bus Terminus by exit A2 of Shatin Station. New Town Plaza is two minutes walk via station concourse and Citylink Plaza. HomeSquare is located in Grand Central Plaza about 5 minutes walk from exit A2 of Shatin Station and Shatin Station Bus Terminus. Grand Central Plaza/IKEA is clearly visible from exit A2. 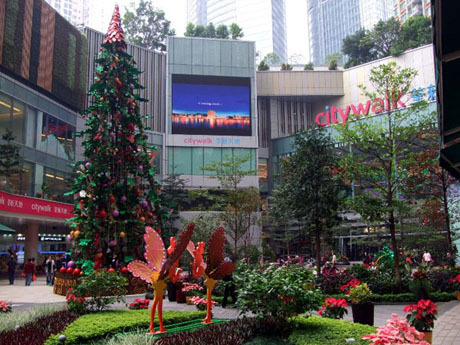 Owned by Sino Group Citywalk which opened in December 2007 claims to be Hong Kong’s first “green” shopping mall. 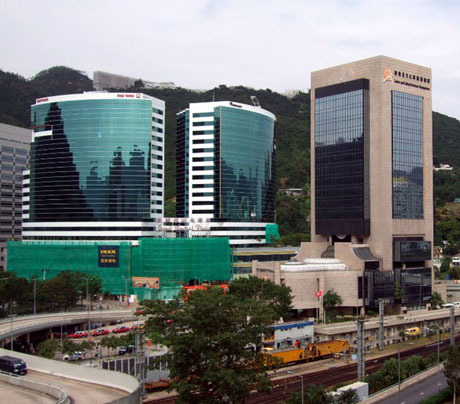 The mall is located in a redevelopment area of central Tsuen Wan and is connected by elevated walkways to Nina Towers and L’Hotel Nina. The attractive mall which has around 180 shops, restaurants and café’s on three levels aims to combine shopping and nature and features a central landscaped piazza with trees and water features including ponds and fountains, giant video screen and an 8,000 sq ft Vertical Garden fifty feet above the ground. The mall features glass curtain walling and upper ground floor balconies on one side overlooking the piazza and Vertical Garden and maximising natural light in the mall. There is an “event hall” at upper ground level where exhibitions and entertainment often take place. As at early 2009 about 80% of shop units were occupied. Shops are mostly mid-range and although some of the international brands available at larger malls are not present here there is a good range of products on offer include ladies and mens fashion, children’s wear, beauty and personal care, optical and eyewear products, shoes, bags and leather goods, jewellery and watches, sportswear and sports equipment, books and gifts, home furnishings and accessories and audio/visual, electrical and electronics. The anchor store is Marks & Spencer Department Store which occupies space on ground and upper ground floors. Shops include Levi’s, Private Shop, Quiksilver, Uniqlo, Wanko, Cotton Candy Kids, Veeko, Dr Kong Footcare, Walker Shop, L’Oreal Paris, The Body Shop, DG Lifestyle Store, Francfranc Design for Life, Natural Living, Thermos, UML Hobby Mega Store, MaBelle, Citychain, Chow Sang Sang Jeweller and Goldsmith, Adidas, Marathon Sports and Royal Sporting House. At ground level is a food court with just two outlets KFC and Café de Coral. Other café’s/restaurants some of which have balcony tables include Café Ciao Ciao, House of Beijing, Jade Garden, Kouryu Ramen, MOS Burger Japanese Fine Burger, Osaka Ohsho, Shanghai Po Po, Stone Pot and Waraku Japanese Casual Dining. A second phase, Citywalk 2 opened in late 2009. Citywalk 2 is a separate mall connected to Citywalk by pedestrian walkways through The Mall, Nina Tower. The exterior of the mall features an "ArchiSculpture", i-Globe, a giant pixilated wall with over 1300 LED discs integrated into the wall structure. The mall is claimed to be "inspired by the Roppongi Hills in Japan" and it is planned that 30% of the tenants in the mall will be Japanese brands. The mall has a multiplex cinema complex. Stores in Citywalk2 include 759 Store, Kuka Home, Healthplus, Venice Lighting Centre, and Optical 88. Restaurants include Kanamizu Sushi, Marsino Noodle Expert, Sapporo Ramen, New Odaiba. Chao Inn, Li Du Invitation, Nice Capital Worldwide Kitchen and Green River Restaurant. OPENING HOURS – Malls open 10am to 10pm daily. Marks & Spencer Department Store open 11-30am to 10pm daily. Shops open various hours but mainly 11am to 10pm. Food outlets open various hours. Check website for opening hours of individual shops, café’s and restaurants. GETTING THERE – MTR Tsuen Wan West Station (West Rail) exit E1. 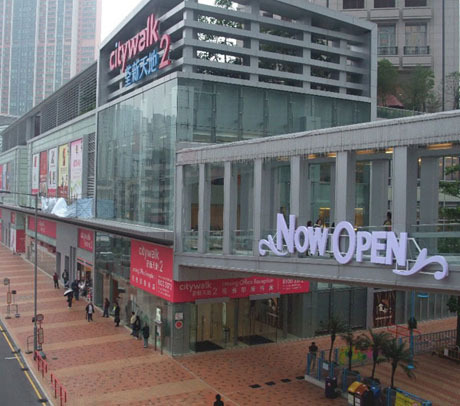 Citywalk is about 10 minutes walk from the station exit E1 via elevated pedestrian walkway system or MTR Tsuen Wan Station (Tsuen Wan Line) then about 15 minute walk from exit A1 via elevated walkway across Castle Peak Road, then via Tai Ho Road (mall is next to Nina Tower which is visible as the largest building in the area). BUS – Routes 33A,40,73X,278X serve Nina Tower Bus Terminus next to Citywalk. Routes 41M,59M,60M,66M,68M,238M serve Tsuen Wan Railway Station Bus Terminus about 10 minutes walk from Citywalk. Routes 31,32B,36,39A,43,43B,43X,234A,234B and 930 serve Tsuen Wan West Station Bus Terminus which is about 10 minutes walk from Citywalk via elevated walkway.